What does the word ``improvements`` refer to on my tax ticket? “Improvements” refers to any building or structure on your property. It does NOT refer to any specific improvements you have made to your home or property. The property taxes may be paid in halves, with the first half payment due September 1st and the second half payment due by March 1st. Most pay their taxes by mail to the Sheriff of Raleigh County, Division of Tax Department, 215 Main Street, Beckley, West Virginia 25801. If you do not pay by mail, you may bring your payment to the Division of Tax Department, located in the Raleigh County Courthouse, for your property taxes. For questions regarding tax payments you may contact (304) 255-9162. How much discount will I receive if I pay my taxes by September 1st? You will receive a 2 1/2% discount. I want to apply for Disability Exemption…what do I need to bring when I apply? Social Security award letter showing you are permanently/totally disabled or a letter from a doctor, and a valid WV driver’s license or valid WV ID. I want to apply for Homestead Exemption…what do I need to bring when I apply? A valid WV driver’s license or valid WV ID. Do I need to reapply for homestead exemption every year? No, You only need to reapply if you move. How do I know if I'm getting my Homestead Exemption? This will be reflected on your tax ticket. If you were due to receive a Homestead Exemption, please refer to the Assessment and Taxable amounts on the top half of your statement. If you received an exemption, the taxable amount will be less than the assessment by up to $20,000. I am Homestead exempt, why do I still owe tax? You are only exempt on the first $20,000 of assessed value. Any assessed value amount in excess of $20,000 remains taxable. Do I qualify for homestead/disability exemption on my mobile home even if I don’t own the land? Yes, anyone whose mobile home is titled in his/her name and the individual resides in said mobile home may make application for the homestead/disability exemption. But you must apply within the specified dates. What is the difference between the appraised & assessed value of my property? The appraised value is an estimate of market value of a property, and the assessed value of your property is 60% of the appraised value. The assessed value is the value subject to tax. What is the cost of a dog tag? There is a $3.00 fee per dog. When are assessment forms due? October 1st is the deadline. On my assessment form (under Schedule 1) do I need to fill out the Purchase Cost and Owner’s Value of my automobiles? No, we only need the make, model, year, and VIN number in order to price your automobile. The computer takes 60% of the loan value from the NADA (National Automobile Dealer Association) book as mandated by the State Tax Commissioner. That is why it is so important that you write your VIN number accurately and legibly. Do I need to complete the real estate portion of the assessment form? If you own your property, it is not necessary to complete as our appraisers will visit your property and assess the value. Do I list my leased vehicle on the assessment form? No, your leasing company is responsible for submitting a listing of vehicles to the Assessor and they pay the taxes. Remember your leasing company must have paid their taxes prior to your receiving a license renewal decal. When is my Farm Report due? No later that September 1st of each year. What is the cost of a FARM USE sticker for my vehicle and how long is it valid? I am in the military and want to know what paper work is needed to be MILITARY EXEMPT? Provide a copy front and back of your military card, DD214 discharge papers or military order showing dates of service. Define the meaning of being “on record”? To be considered “on record” the taxpayer has filled out a current assessment form listing all vehicles owned on July 1st of the assessment year the form is completed. The taxpayer will then receive a tax statement from the Sheriff of Raleigh County in July following the tax season in which they filed. What are the benefits of being “on record”? Why can’t I pay for each auto as they become due for renewal instead of paying for all my autos at one time? 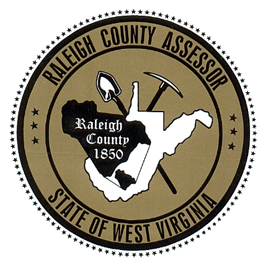 West Virginia State Code states that taxpayers must render ALL personal property titled by the Department of Motor Vehicles in their name each tax year for taxation by the Assessor’s Office in the county in which the vehicle is located. The taxpayer must then retain the receipt as proof of tax payment to complete licensing requirements throughout the year. What do I need to bring with me in order to renew my vehicle license? You must bring a copy of the current year’s tax receipt, the renewal card the DMV sent you, and proof of insurance. If you did not receive the renewal from the DMV, you cannot renew your license at the courthouse; rather, you must go to the DMV with your old registration card, current year’s tax receipt, and proof of insurance. What is the cost of renewing my license at the courthouse? Can I renew class B license at the courthouse? No you may not renew Class B license here only Class A and motorcycle license. All boats, trailers, and Class B tags can be renewed only at the DMV. Do I have to pay taxes on vehicles I do not license or that are not running? Yes, according to WV State Code you are required to pay personal property taxes on any vehicle with an active title. Even if the vehicle is inoperable personal property taxes are due. The only way to eliminate the requirement of paying taxes on items that no longer run is to take the title to the DMV and have the title junked so that it reflects in our DMV records for future years. Why don’t I get a tax ticket mailed to me? Every July 1st blank assessment forms are mailed to all taxpayers that have had supplemental tickets generated for them in the past year. If you fail to complete this form and return it to our office by the October 1st deadline you will not receive a tax ticket the next tax year. What is the difference between a Class 2 mobile home and a Class 3 mobile home? A Class 2 mobile home is one that is occupied by the person, whose name appears on the title. A Class 3 mobile home is one that is occupied by anyone other than the person who actually owns it. Class 3 mobile homes do not qualify for the homestead/disability exemption. If I don’t own the land the mobile home sits on do I have to pay taxes on the land and the home? No, you will only be responsible for the taxes on the mobile home. The land owner is responsible for the taxes on the land.